Hand hammered along the edge to be a more economical choice. Arched, rectangle, or arched in rectangle styles available. 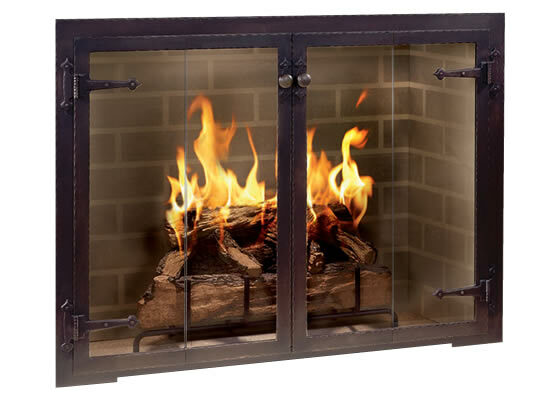 Shown: Hammered Edge Rectangle in forged iron with acorn hinges and optional knob handles.